Hello. I'm Chris. Christopher when in trouble. 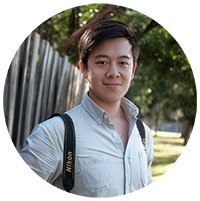 A quick about me, I am an Australian freelance photographer currently based in London doing freelance with with News Corp, The Australian and Associated Press. I’ve been working in newspapers since 2010, working all over Australia including Queensland, New South Wales and Victoria. With my background as a news photographer, I can shoot anything, anywhere and at any time. I’ve photographed cats stuck in trees, illegal pet crocodiles, retirement homes, magicians, sports stars, natural disasters, celebrities, criminals and the occasional heart break and tragedy. I've been waist high in flood waters, I've run through bushfires, scaled walls, done overnight stake outs, scraped knees, been attacked by leeches and loved every minute of it.